RE:Port is the new game changing upgrade to LeaseCalcs’ Broker Edition, giving brokers the unique opportunity to add even more value to their clients through our robust, yet intuitive, portfolio-wide financial reporting, analytics, lease accounting and administration tools. RE:Port enables brokers to support clients with smaller lease portfolios with the same tools the “big” tenants use to manage and administer all of their leases, without an additional cost. RE:Port packs powerful portfolio-wide dashboards, analytics and insights, giving brokers a whole new way to collaborate with clients in real time and automatically generates lease abstracts, critical date alerts and even creates the custom reports clients need to get deals approved, all while solving the challenges of the new lease accounting rules. Still not a LeaseCalcs subscriber, but interested in learning more? Imagine knowing in minutes how any deal impacts your client’s earnings, EBITDA and shareholder equity. What if you could easily adjust the negotiations to improve the outcome? Let’s talk! Schedule a live demo of LeaseCalcs at your own convenience and learn how LeaseCalcs is a true differentiator for brokers all around the world. 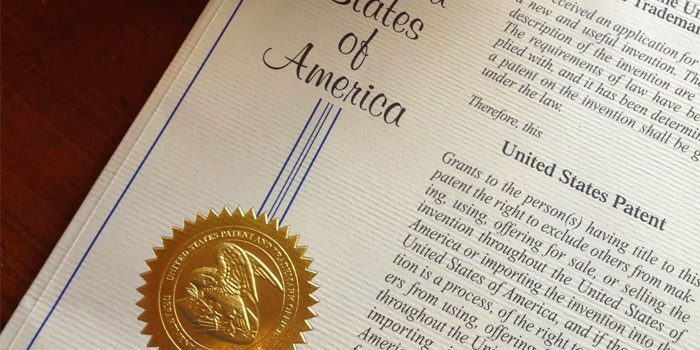 Exciting news from LeaseCalcs: after several years of effort, the US Patent & Trademark Office agreed that one of the original ideas behind LeaseCalcs’ success was so unique we have been awarded a patent. It all started from the idea you could take the effort and data associated with running a lease analysis, or generating a firm’s lease accounting, or administering leases, and repurpose it to create highly accurate lease comps and benchmarking data. That data could then be aggregated and anonymized across divergent users to deliver unparalleled commercial real estate market insights. Before LeaseCalcs, the idea of repurposing all of that data to drive the most comprehensive and accurate lease “comps” and market insights in the industry simply did not exist. Today, it is reality. Today, LeaseCalcs‘ patented software application is providing lease analysis, lease accounting, lease administration and market insights to every major brokerage firm and scores of the biggest global companies – with more and more subscribing each month. We are incredibly grateful for all the support and validation our clients continue to provide as we grow. What comes next at LeaseCalcs? Additional patents are still pending, while new features and capabilities are continually being added to both the Broker and Corporate Editions of LeaseCalcs. Stay tuned – we have more exciting news coming your way! Following a couple days in Boston, I’m reminded Boston draws the best and brightest college students to Harvard, MIT and many other great universities. But Boston’s commercial real estate brokers are smart, too! Why? All 5 of the 5 largest brokerage firms in Boston (not to mention several others), use LeaseCalcs to provide their clients with better analyses, advice and financial insight on their transactions. Along the way they’re helping their clients deal with the new lease accounting standards and getting better market intelligence for themselves. Honored to be spending a few days in Phoenix with our friends at Cresa for their annual Spring Meeting. We provided education and training around the way the new lease accounting standards from the FASB & IASB will affect their clients and their deals. Smart brokers never stop learning and adapting, and Cresa has the knowledge and the technology – LeaseCalcs – to be able to help companies deal with this sea change in lease accounting. We were in Boston and Denver last week with existing and new LeaseCalcs subscribers — Avison Young Transwestern, and Colliers International, and were reminded of a great rivalry in sports. Commercial real estate brokerage isn’t all that different from the NFL; key players, special teams, position players and exceptional strategy determine the winners. LeaseCalcs helps these firms, and others like CBRE, Cushman & Wakefield, JLL, Newmark Grubb Knight Frank, etc., elevate their game and win more often. Get LeaseCalcs to win more often! Following a couple days in Boston, I'm reminded Boston draws the best and brightest college students to Harvard, MIT and many other great universities. But Boston's commercial real estate brokers are smart, too! Why? All 5 of the 5 largest brokerage firms in Boston (not to mention several others), use LeaseCalcs to provide their clients with better analyses, advice and financial insight on their transactions. Along the way they're helping their clients deal with the new lease accounting standards and getting better market intelligence for themselves. Now that's smart! As reported in an article on CFO.com on January 14, 2016, the complexities of the new lease accounting standards from the IASB and FASB, coupled with the fact the standards are not fully converged, will result in most multi-national firms finding they need to keep two sets of books. Those two sets of books will be in addition to their current set of books that will have to be maintained through the effective date of those new standards (2018 or 2019 depending on the company’s election). And is in use by S&P 500 and other sophisticated firms today. LeaseCalcs – an award-winning, patent-pending, enterprise class, web-based application – slashes the time, complexity and costs associated with implementing the new lease accounting standards, and allows you to maintain your lease accounting under current and future standards for both US-GAAP and IFRS. Get it right – get LeaseCalcs! If you needed further confirmation that the new lease accounting standards are real and finalized, look no further than yesterday’s CFO Journal from the Wall Street Journal. For anyone involved in commercial real estate or financial reporting, three quotes from the article prompt three questions and three easy to apply recommendations. Companies in the U.S. and abroad will need to begin bringing their leases for offices and equipment onto their books in 2016, even though mandatory compliance is unlikely before 2019. CFOs will need to explain to shareholders why debt loads will seem bigger. What has your firm or client done to prepare for 2016 and beyond, keeping in mind the new accounting rules don’t just affect new leases but existing leases as well? Do you know, today, the precise – let alone ballpark – balance sheet, P&L and EBITDA impact from any of your firm’s – or your client’s – 10 or 20 largest leases? Has your firm or client “started” or is it, in the words of FASB’s Schroeder, “late”? If these quotes and questions give you or your client the slightest bit of unease, there are several prudent steps to take, beginning today, to be able to deal with them confidently and ease the transition to the new accounting standards. If you are not already doing so, every new lease should be negotiated and analyzed with a detailed eye on how it will affect the corporate financial statements – balance sheet, P&L and EBITDA – under both current and new lease accounting rules. The stakes are too high to make decisions on the basis of discounted cash flows. If you are a tenant, you can do this within your corporate real estate or finance functions or at least make sure your broker is providing that insight and analysis. When done the right way, the lease analysis prepared before the lease is signed can seamlessly drive a company’s lease accounting process and management. Take a first step: grab 5 or 10 of your leases and have them modeled in LeaseCalcs. How? Its easy. Call your broker, or call us. LeaseCalcs’ brokerage firm subscribers are already helping their clients understand the actual financial statement impact from any lease. But is your broker already using LeaseCalcs? The odds are in your favor as global firms like Avison Young, CBRE, Colliers, Cresa, Cushman & Wakefield, JLL, Newmark and Transwestern along with a lot of smart regional firms already use LeaseCalcs. But our corporate subscribers are already doing this for themselves. But whichever way you approach it, the sooner you get actual data from your actual leases the sooner you’ll understand what’s in front of you. Get your stakeholders in a room together in the next 30 or 60 days. Pick your team: CFO, CAO, Controller, corporate real estate, treasury, finance, internal audit, IT, outside brokerage team(s), auditors and advisors. (Hint: start with a core group and expand it later.) Get educated yes, LeaseCalcs offers educational classes (yes, LeaseCalcs offers educational classes). Then, figure out who has your lease data and whether its reliable, discuss current and new accounting policies in light of these changes and how the leases and the lease accounting process flows through the organization. You will find the new lease accounting standards, and complying with those standards, will be a multi-disciplinary process involving multiple stakeholders. Similarly, you’ll need a system that allows the lease accounting data to be securely shared while encouraging collaboration across the organization and with third parties as needed. LeaseCalcs’ patent-pending, enterprise-class Software-as-a-Service (SaaS) platform allows commercial real estate professionals and corporate tenants to understand the entire financial statement impact – including balance sheet, P&L and EBITDA results under both the current and new lease accounting standards – from any real estate transaction while it is being negotiated, and allows the parties to the transaction to manage their lease accounting by leveraging that same data. From lease analysis, to lease accounting and management, to comps and market intelligence LeaseCalcs is improving the process and results for everyone involved. Whether you’re a broker, a corporate real estate or finance executive or an outside auditor, LeaseCalcs was developed to address these new lease accounting standards. If you’d like to learn more about LeaseCalcs, or if you would like to schedule a demo, please reach out. You can view the original WSJ article here or download a PDF of the article here: Finance Chiefs Get Ready for New Rules – WSJ Dec 07 2015.